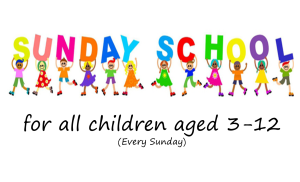 The Sunday School takes place during the Sunday morning service and is for children aged 3 and upwards. For those with children under 3, we provide a creche where mothers can supervise their own children whilst being able to listen to the teaching via an audio link. We aim to give the children a firm foundation by teaching them to know and love God’s Word; to learn of His character; and to understand that salvation comes through Jesus Christ. Through instructional Bible study, crafts, fun games, and memory verses, we seek to convey God’s truth in a lively and interactive way which children can understand. Our prayer is that from their earliest years, they would know and love the Lord Jesus Christ and follow Him in obedience all the the days of their lives. 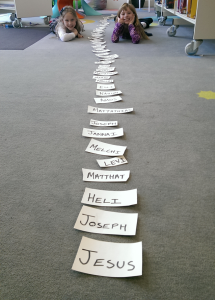 Last year the Children journeyed through the whole Bible in a year, this year they are looking at the life of Jesus as recorded in the Gospels. For more information, please email us using the Contact Form below, or come along one Sunday and speak to Ash, Laura or Ilir and Sarah.